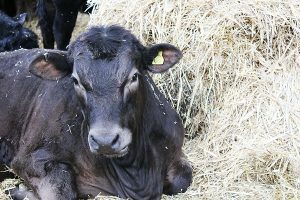 January is a strange month, a time to start looking forward and forgetting last year’s stress but with so many jobs, both animal and arable that need doing and with a very wet winter so far, it can mean just the opposite. Whilst our cows move grudgingly around the farm the rest of our herd and some of our fine ladies are in calf. 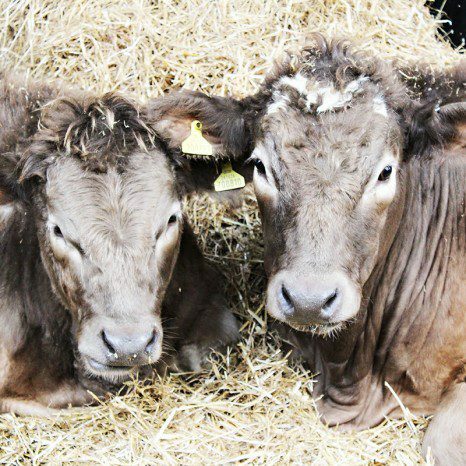 For us here at Foxholes Farm calving is a big responsibility and as farmers working in farm production it can be very tiring and difficult at this time of the year, but the results make it all worthwhile. Our Tea Room is going from strength to strength and our regulars love our cowpaccino along with hot food that is being served daily. Make breakfast the meal of the day and celebrate National Breakfast Week 22nd – 28th January! Granny Smith`s Tea Room will be serving your choice of breakfast from our menu ALL DAY including our Farmers’ Full English, served with pork sausages and home cured bacon and a free top up of tea or coffee, so kick start those winter mornings with the most important meal of the day! 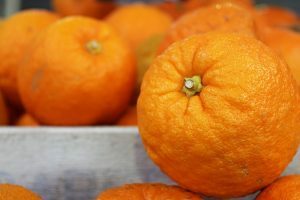 If you’re a marmalade lover Seville Oranges are now in stock. Bitter, sour and bigger than the average eating orange they are rough in texture, but these bright balls of citrus fruit when boiled with water and sugar make the perfect marmalade. Kale, artichokes, swede, parsnips and cabbage are still in season, so if you love to make a healthy detox drink we always have a wide selection of local and regional soft fruits available. Our butchery team are always busy working to create new recipes for the counter. This month they have produced an amazing pork and chorizo sausage recipe which is great served with mash and gravy, perfect for those chilly winter nights. All our sausages are hand-made on site to perfection and with ’Burns Night” (Thursday 25th January) just around the corner we have a fantastic choice of fine artisan whiskies from pigs nose to sheep dip which are the perfect accompaniment to our traditional haggis. If you wish to learn the tricks of the trade our Butchery Classes are still available to book, although January butchery classes have sold out, there are still a few places left for February and March. To book call 01992 552900.